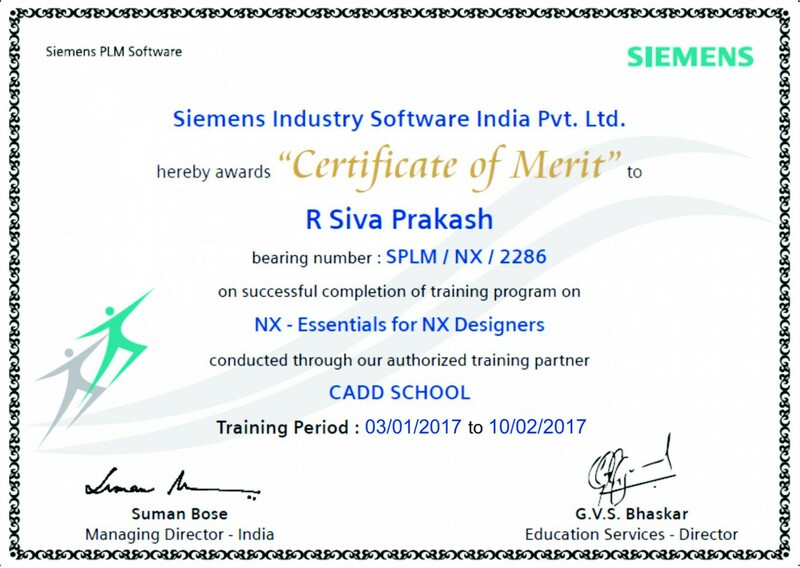 • Stand out with an International Certificate from Software Developers. • Earn an industry recognized credential that helps to prove your skill level and get you hired. • Get noticed by listing of your name in the Professional Database of our International Software partners. 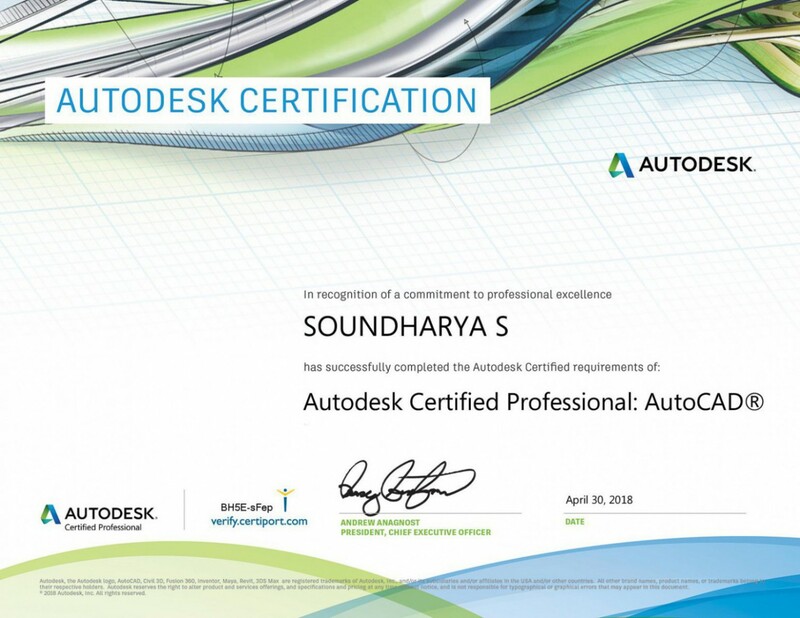 • Certificate of completion that’s recognized in your profession. • Get Professional Certification by taking up online exam. 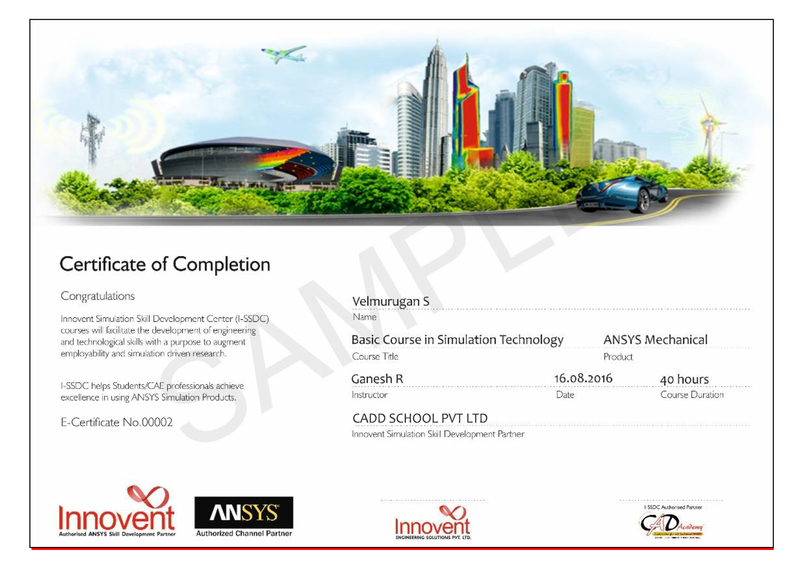 • Looking for CADD software training? • From academic and throughout your professional career ATC provides educational resource. ATC is to provide University/College students & Non-working Professional with high quality training services on software training. Competing is tough in today’s market place. In today’s industrial world they want to recruit the smartest most committed students. ATC’s are held to strict standards in terms of instructors, materials and to ensure that students will receive a consistent and high-quality training experience. • Unique Id number for each student. • Access to latest tools and development in the software. • Certification directly from the international partners. • Get listed in the Database of our Software Partners. • Student get user name and password to access the portal of Software Partners. • Course materials form the Software Developers. • Student get to participate in blogs. • View latest video tutorials on the software in the portals. • Help gaining Industry Recognition for your skill set. • Improve your Performance and add value to your company. • Gain Confidence and Peer Recognition. • Earn a Portable Credential to help job retention and mobility. • Align with an industry leader. • Get an electronic certificate suitable for printing and framing. 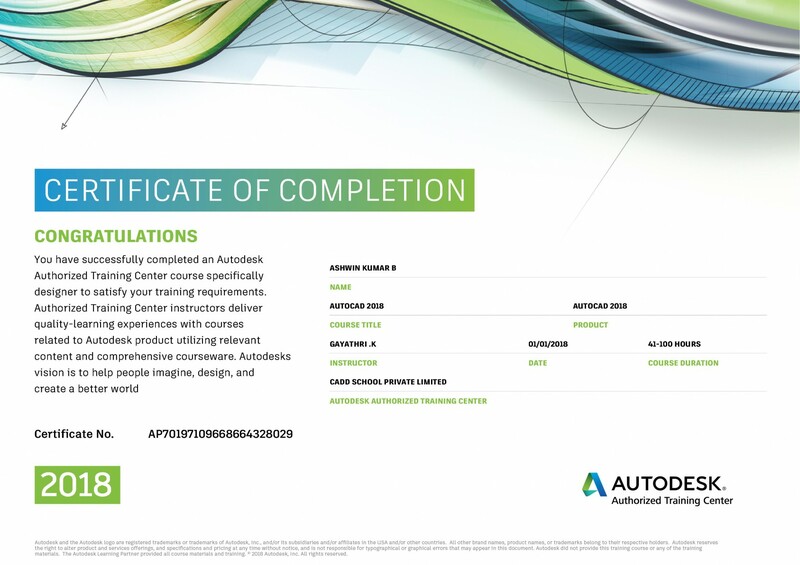 • Get a certification logo for use on business cards,resumes,and letterhead,identifying you as Autodesk Certified. • Become part of an elite team of professionals. • Course curriculum designed in line with the expectations of industries. • Industry need based course curriculum. 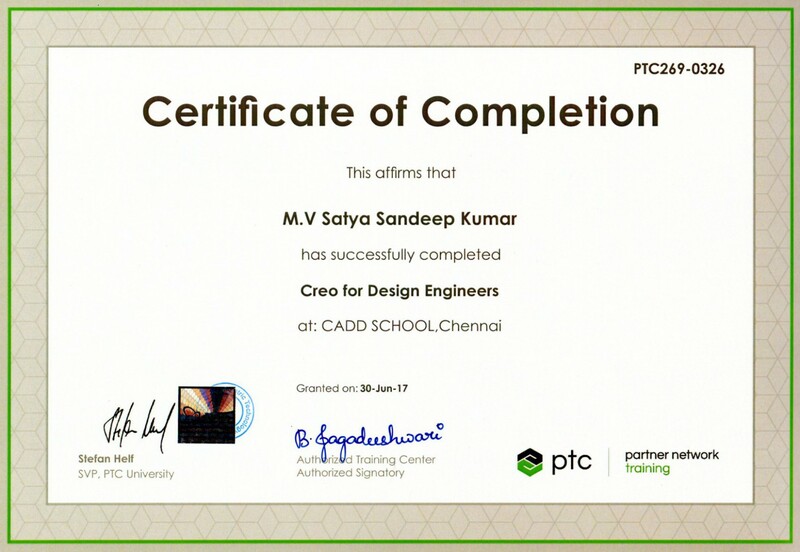 • Personal copy of study material and free Creo Student license. • Seminars and visiting Lectures from Industry Experts. • Experience and Certified Faculty. • Engineering Fundamentals Training Seminars and Visiting Lectures from Industry Experts.